Moto X4 smartphone is expected to be announced at an event in Brazil on August 24. Now live pictures of the upcoming device have been leaked by Anatel, Brazil’s homologation agency. The latest leak is in line with final rendered images put out by tipster Evan Blass last week. Moto X4 will feature metal and 3D glass smart dual rear cameras (12MP + 8MP) with dual LED flash placed above the two lenses. The front camera is said to be a 16MP one with LED flash. Moto X4 new images reveal a premium glass and metal body design in black colour variant. It will have a glossy back curved at the edges. The smartphone is expected to feature a 5.2-inch FHD display with thin bezels on the sides. A USB Type-C port along with a 3.5 mm headset jack will be present at the bottom. The fingerprint scanner in Moto X4 can be seen right below the display. Moto X4 has leaked previously as well. According to an image posted by Blass on Twitter, the camera in Moto X4 will come integrated with artificial intelligence (AI). 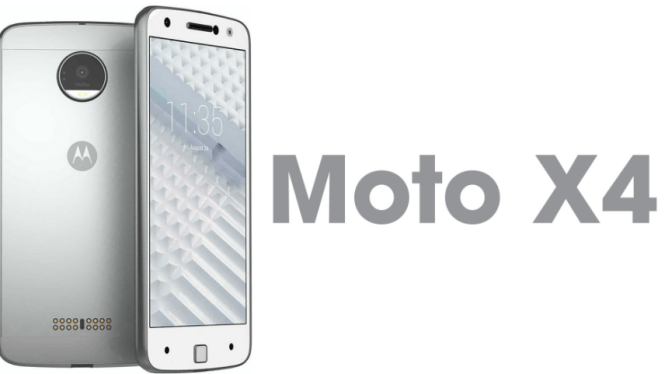 Further, the next-generation Moto X device is pegged to feature IP68 rating, which makes it water and dust resistance. Moto X4 will run Android 7.1.1 Nougat. Moto X4 could be powered by an Octa-core Qualcomm Snapdragon 630 processor coupled with either 3GB or 4GB RAM. It could come in two storage variants – one with 32GB ROM, and another with 64GB ROM. The smartphone will be backed by a 3000 mAh battery. Be the first to comment on "Moto X4 with metal-glass body design, dual rear camera leaked in new images"